I Didn’t Know featured Fish on the mouthpiece of his trombone. Divided and Hood contained Bewitched Bothered and Bewildered teases by Trey. Hood also included a DEG tease from Trey. Antelope contained Charlie Chan and Simpsons signals. The opening act was Shockra. 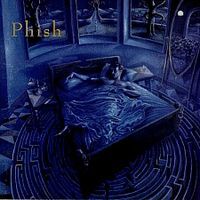 This is the single greatest show in Phish history for me (as of right now). 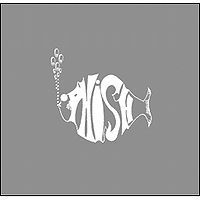 Based on musical detail, I've never heard a Phish set so perfect in all areas as the raw, toneful, beautiful progression in set two between Harry and I didn't know (all I've heard from this night, in great quality though). 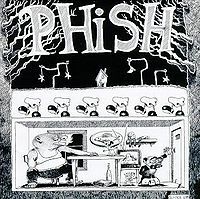 Every other great show or set I've listened to, and I have at least 20 gigabytes of Phish music and videos, pales in comparison to this second set (I was three years old at the time and am not biased- I have been listening to Phish for 10 years and only a few days ago saw a great fan video from the front row for this second set- this is the information and background I used to make what I think is an informed opinion). 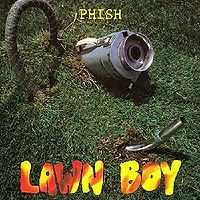 Would love to hear a suggestion of what anyone thinks tops this show- from the perspective of pure, exact musicianship combined with raw Phish energy. Seriously, listen to that progression I mentioned if you can and haven't already. Thanks, Jon, for reviewing the Port Chester show for us! I always love seeing show reviews here, the more the better; different people's perceptions of the same show are particularly interesting. Also, Jon mentions that a crew member told him that Trey considers the Asse Festival to be his best composition. That's very interesting. He told me in Somerville that that piece is a fugue, and described the classic structure of the fugue: it's a very strict musical form, with only two elements, the subject and the countersubject. First the subject is played in the upper register and the countersubject in the bass, then the two are reversed (hope I've got it right; I'm not a musician. WhenI post the interview, you can see his description verbatim). All of this has to work together harmonically. Listen to the Asse Festival, you can really hear the form. Another fugue in his work is the section Ride on a Multi Beast on The Man Who Stepped into Yesterday, for those of you who have that...it's the section right after Tela. It is a fugue with a very complex, atonal theme, really difficult; in fact, it's not truly a fugue because he was unable to complete it within the required form (he told me). Asse Festival, in comparison, was written years later, and has a much simpler theme. I was at the show in Portchester this weekend, and it was excellent. The list has already been posted so I wont waste space. I was in the balcony which was shaking considerably, especially during Llama. This was the fourth time I've seen them here and the sound was much better than has been in recent Portchester shows. Still, I often have trouble hearing the vocals (especially Page's and Mike's). On my tapes from the Portchester show of April '91, it is really hard to hear the lyrics clearly. If anyone has good tapes of this show, please e-mail me. The show was sold out and before it began, people were trying to get in by rushing the side doors. It worked for a handful of people until they got a lot of security guards to prevent people from "illegally" entering. Other people, who were already in the show, were throwing their ticket stubs down from the windows. Unfortunately for a lot of people, the stubs didn't work. It was a "no readmittance show". I hate to gripe but it is this kind of behavior which prevents bands from playing certain venues again. I must admit that it was fun trying to get my ticketless friends in, but I hope that this kind of thing doesn't escalate to the point where Phish is ever restricted from playing anywhere. I love seeing Phish, especially in smaller places, and I hope that I can continue to see them in small places. However, it is inevitable and obvious that they are getting bigger. They do deserve it though as they are amazing musicians, songwriters, and all around entertainers. 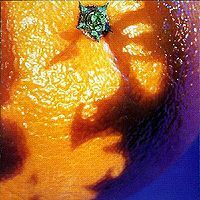 On a lighter note, as usual, they altered a lot of their songs (not entirely, but slight changes that make them unpredictable) The version of Golgi was awesome. They changed the orchestrated jam after the chorus -not the music itself but the dynamics of it. They alternated between loud and soft so that when you though it was going to peak, it mellowed. Apparently the band loves doing this. It seems that every show they pick a couple of songs and change them slightly. Being as good as they are, they can pull this off really well, and it must keep them interested. It amazes me that they can remember all of their crazy changes (both rhythmic and melodic). Unrelated point- One of the crew members last year told me that Trey thinks his best composition is Asse Festival. I definitely agree that it is musically unbelievable, but what compels Trey to write these bizarre songs??? This is a great show, I've had the second set on cassette for many years. I can see why I never got the first. The bootleg I heard had a lot of digi noise and drop outs in the first set, and some in the second. YEM jam word of the day was "rocking chair" from Fishman and Mike, and the cough was a reoccuring theme as well. Second set is huge, very well done. Great Hood intro, IDK is funny, Antelope has a huge "Simpson's" signal in the middle. Encores are funny as well, sounds like a good time. Wish I could have been there.